Dental restoration at Beach smile dental offers all levels dental restorations for fixing damaged or missing teeth, including fillings, crowns, and bridges. 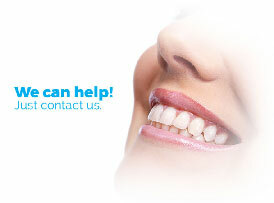 Most of us have experience with fillings; they are the most common dental restoration, after all. Whether the tooth is cracked or has a cavity, Dr. Parducho will clean out the decayed material and fill it in with natural color resin. The filling will protect the tooth from further decay and improve its appearance. Composite resin (plastic) are custom-fitted and have a natural appearance. Crowns, also known as caps, have a multitude of uses. The crown structure completely covers a tooth, strengthening it and improving its appearance, so it’s a good option for teeth that have had root canals, are heavily damaged or fractured, or need covering for cosmetic purposes or to allow other dental work to be done. The result is a protected tooth structure with a greatly improved look and feel. Made from porcelain, gold, or composite resin, inlays restore teeth or replace fillings by precise placement within the contours of your teeth, improving the appearance and function of decayed or damaged teeth. And, though they feel comfortable and look natural, that’s not their only advantage; their snug fit means they protect the tooth against further decay. Similar to inlays, onlays cover more tooth surface and are used as an alternative to crowns. A tooth with a great amount of damage, or damage over a wide area, may be treated with an onlay, as it fits just as well as an inlay but over a larger amount of the tooth, even down to the gums if necessary. An ideal method to restore one or two missing teeth, a bridge cements artificial teeth into place using the real teeth on either side of the gap to “bridge” the space. Dr. Parducho uses the latest materials such as, Zirconia, Emax, Layered Porcelain and porcelain bonded to metal alloy. Ceramic Zirconia can match your teeth and provide you with a bridge that will meet your needs for strength, longevity, and appearance. Whether your teeth need minor or major restoration, Beach Smile Dental provides you with the options and expertise you need to make the best choices.